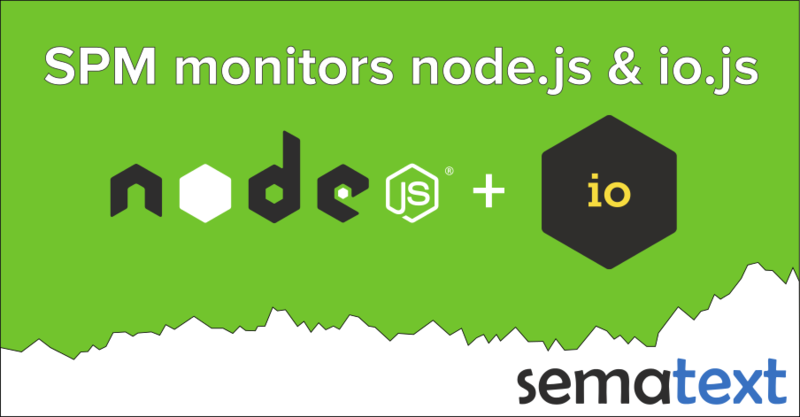 We’re happy to announce we’ve just added Node.js monitoring to this growing list of SPM integrations. SPM for Node.js covers key Node.js metrics such as Event Loop, Garbage Collection, CPU, Memory and web services metrics. 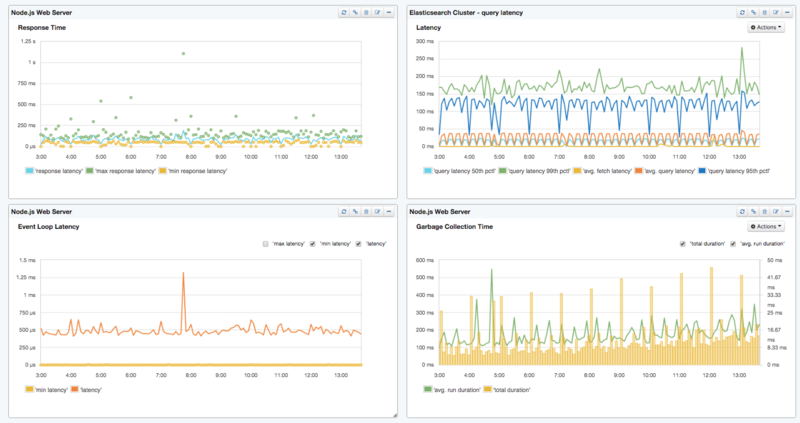 All metrics are organized in out-of-the-box charts, which can be put on additional dashboards and placed next to performance charts for other parts of the application stack. 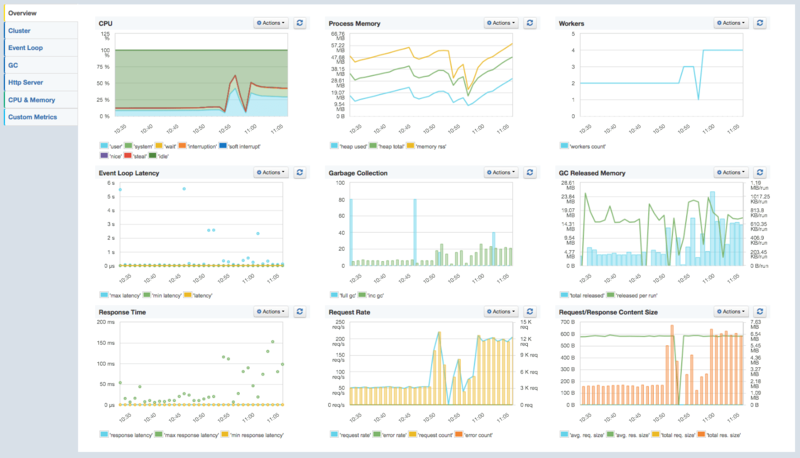 Of course, you can view your Node.js metrics in a larger context. For example, here is a dashboard that shows Node.js metrics together with Elasticsearch metrics, making it easier to correlate performance across multiple tiers of the application stack. You could also get your event and log charts on the same dashboard for an even more thorough correlation. Needless to say, we made sure everything works for the latest versions of Node.js (0.12) and io.js (1.6). Installation is as easy as integration of any other module using npm. If you are not using SPM yet, you can sign up with no commitment or credit card. You have 30-days free on any new app you create. If you are already using SPM, you can simply add a new SPM App for Node.js and see all your Node.js metrics in just a few minutes. Don’t see something in SPM for Node.js? Please let us know (@sematext) or comment below, we are looking for feedback!